My first thought when I heard that they were making a musical version of 1992 film The Bodyguard supplemented by songs from Whitney Houston’s back catalogue was how on earth are they going to work my favourite of her songs, ‘I Wanna Dance With Somebody’, into that story. As it turns out, I needn’t have worried, but more of that later. Taking on the lead role in which Whitney made her acting debut is American import Heather Headley, although at this performance in the month of previews before it opens officially, we saw the alternate Gloria Onitiri (a familiar face from Avenue Q days) who made a sterling case for the vital importance of supporting Great British talent. For those not familiar with the film, Rachel Marron is a superstar pop singer-turned-actress who, unbeknownst to her, is receiving threats from a stalker and when her entourage employ ex-Secret Service agent Frank Farmer as a new bodyguard for her, sparks fly as the undeniable attraction between them threatens his professional distance and effectiveness. Several years in the making, Alexander Dinelaris’ book adapts Lawrence Kisdan’s original screenplay with a few changes: Rachel’s sister Nicki has a greater role; the identity of the stalker is handled differently and there’s a little modernisation to reflect a more tech-savvy and social-media friendly world. There’s actually quite a clever mix of how the songs are worked into the show. Several are done as performances by Rachel and these are largely the canonical ones, but as we visit rehearsal rooms, recording studios, karaoke bars, the opportunities to work many of the songs from Houston’s considerable repertoire (though even diehard fans might struggle to place Oh Yes) are all taken and there’s also a couple of trips into book musical territory. It’s all rather more successful than one might imagine such a melange might be, though too many of the performance numbers are purely presentational thus interrupting the dramatic momentum of the show no matter how good they sound in Mike Dixon and Chris Egan’s interesting arrangements. But elsewhere, ‘Run To You’ becomes a duelling passionate declaration as both sisters realise their feelings for Frank, ‘I’m Your Baby Tonight’ is pepped up adorably with a contribution from Fletcher (possibly Caius Duncombe for this show, but I couldn’t see any official notification) and the first time we hear ‘I Will Always Love You’ is an amusing nod back to the country roots of its author, Dolly Parton. 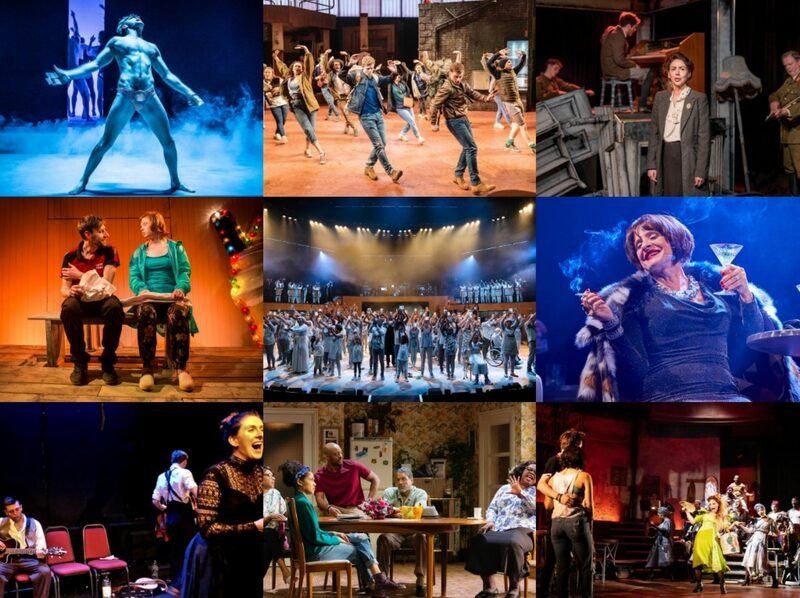 And though there’s a considerable ensemble, director Thea Sharrock wisely keeps the big production numbers to a minimum with little unwarranted choreography popping up as is often the case when big budget musicals are put together (q.v. Ghost, 9 to 5). I loved Tim Hatley’s slick set design with its impressively smooth transitions and occasional staging surprise but I really wasn’t a fan of either significant diversion into video, the first is clumsy and pulls focus from a highly emotional moment, the second is a misguided trip into promotional pop video land. The video work is sparingly used though so it is more of a quibble than a real issue and for the most part, the show is in incredibly good shape considering how early in the run it is. A little more work to find the right pacing and emotional beats in the climactic scene will undoubtedly be done but otherwise, it was definitely job well done. And then there’s ‘I Wanna Dance With Somebody’. Tacked onto the end of the show after the curtain call, it’s an unashamed party-pleaser but to my mind, it somewhat cheapens the atmosphere, reducing it to more of the shaky tribute concert vibe of something like Thriller Live. Much as I love the song, ultimately the show doesn’t need it – or else it would have been used in the production proper – and the show is strong enough in and of itself to be a fitting tribute. I’m probably taking this a little too seriously but I love theatre and I love Whitney and I just wanted it to feel right. Performance-wise Onitiri was highly impressive as the sparky Rachel, a full-throated forthright figure who maintains that independent edge, even when being swept up into the arms of Lloyd Owen, in the Kevin Costner role of Frank, to create the iconic image of the poster. Owen is fine though has oddly little to really do in the show, Debbie Kurup is excellent as the overshadowed older sister who brings a rare subtlety to the show and Mark Letheren sleazes about the stage most effectively as the dangerous stalker. In a theatre landscape where new musicals struggle (the just-opened Loserville has announced its closing date today), this mixture of a film adaptation and a jukebox show is undoubtedly a safer bet than most, but that shouldn’t blind you to the accomplishments that are to be found within as this is a better show than that description might suggest. Sure, it’s great if you’re a fan of Whitney but it is far from a pre-requisite for liking the show as it is a romantic thriller at heart, painted broadly yes, but as with the cinema there’s nothing wrong with blockbuster grandiosity from time to time. And for better or for worse as with Dirty Dancing, it appeals to an audience much wider than the usual visitors to theatreland – both groups either side of me in the upper circle said this was the first show they had seen in ages and lapped it up with great glee. 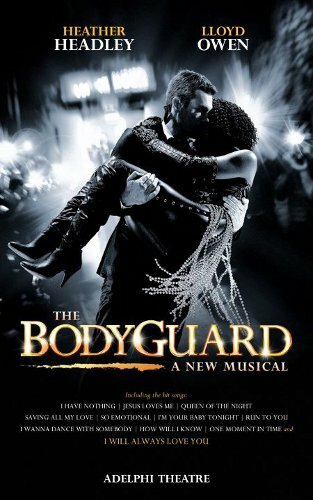 So there you have it, I suspect and I hope that The Bodyguard will generate enough word-of-mouth buzz to get it through the middling critical reviews it is bound to receive and in my opinion, I reckon it is worth it for a shiny piece of feel-good romantic musical fun.